Hi! My name is Sentry and I am a very handsome boy! 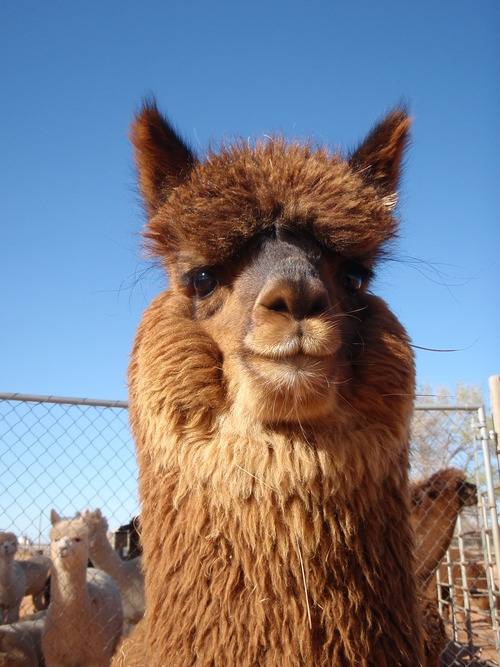 I love to pose for pictures and will get in front of the camera even when people are taking pictures of other alpacas. Surely those people know they should only be taking pictures of me! I am four years old and am quite a good size for my age. I love to eat hay and wrestle with the other boys in my pen.